It’s almost time for the Big Game, you guys! I don’t know about you, but football season equals delicious, party friendly food in my book! The key to enjoying yourself during a hectic party is by using canned pantry staples with fresh ingredients to create a delicious game day recipe that is easy to put together and super delish! 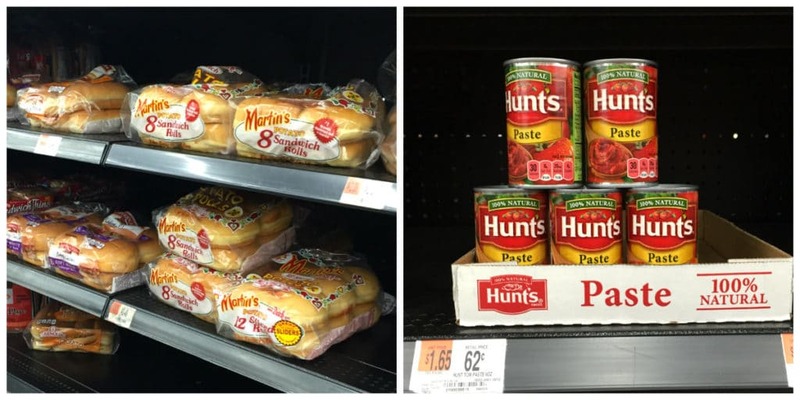 Available at your local Walmart, Hunt’s tomato paste is a key ingredient for my Ropa Vieja sliders. 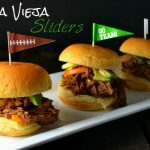 This pantry staple adds a velvety texture to the saucy shredded beef, and then we pile it onto some fresh slider rolls for the perfect hand-held football food! 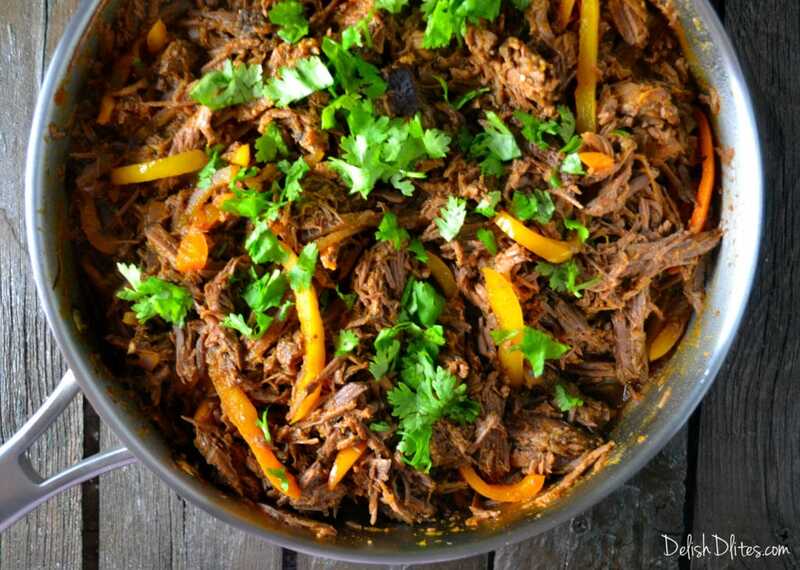 If you’ve never had it before, Ropa Vieja (Spanish for old clothes) is a Cuban dish that consists of shredded beef cooked in a tomato based sauce. 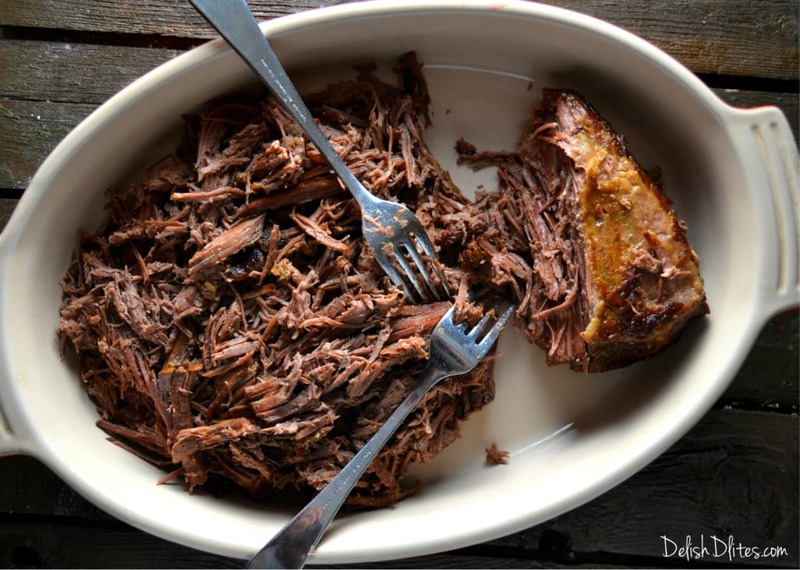 The shredded beef resembles shredded, tattered clothes, hence the funny name. Traditionally, it’s served with white rice, but we’re putting a twist on this classic dish by making it football friendly. Now, if you’re a follower of this blog, you know I’m a Latina that loves her sofrito. Sofrito is an herbaceous paste made from peppers, onions, garlic and more; it’s a basic seasoning staple for Caribbean cooking. When I was growing up, my mom always had a big jar of it in the fridge, and another in the freezer. I’ve never been a fan of storing sofrito in large jars in the freezer, because it would take forever to defrost when I needed it. With this awesome hack using Pam cooking spray, I can dose out my sofrito whenever I need it, no defrosting required. 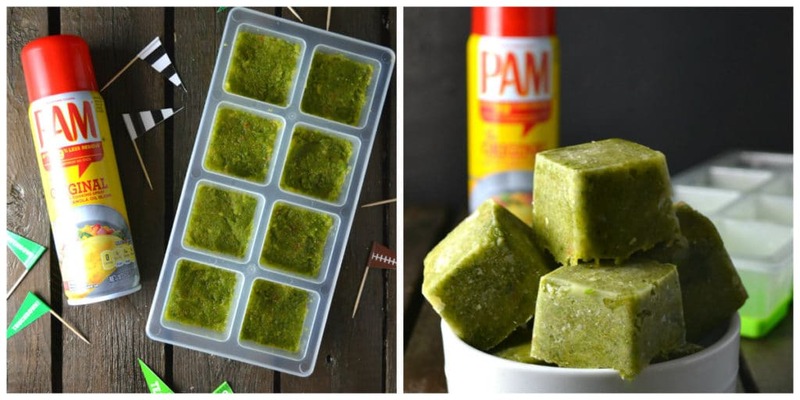 Just spray your ice cube tray with Pam cooking spray, and freeze your sofrito into cubes. They’ll be ready when you are! Season the beef with Adobo seasoning, to taste. Heat 1 tablespoon of canola oil in a frying pan, then sear each side of the beef, until it’s brown and crusty on all sides. Place the beef into a slow cooker, along with the beef broth, 1 packet of sazon, bay leaves, Italian seasoning, chicken bouillon, and 2 tablespoons of sofrito. Cook the beef on low for 8 hours, until the beef is tender. Shred the beef with 2 forks, and reserve 3 cups of the cooking liquid. 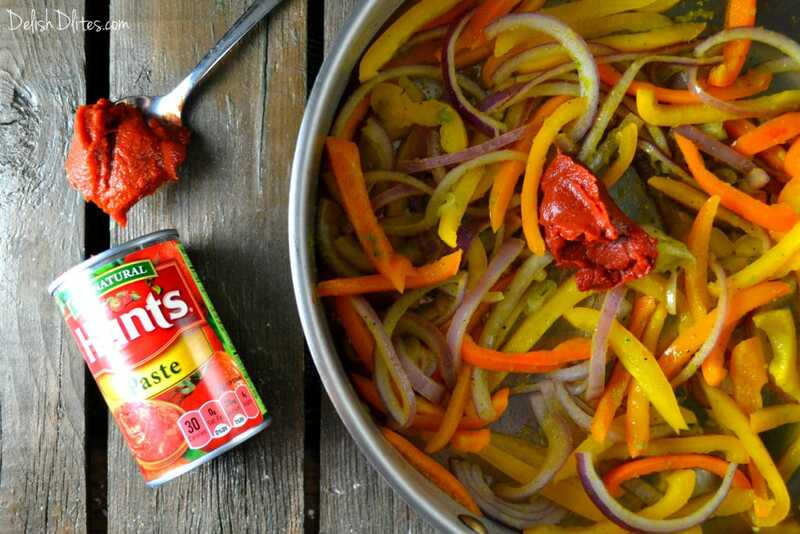 In a saute pan, add 1 tablespoon of canola oil, then toss in the sliced peppers, onions, and 2 tablespoons of sofrito. Season with salt and pepper, then add the Hunt’s tomato paste. Add the reserved cooking liquid, 1/2 packet of Sazon seasoning and red wine, then simmer the sauce for 10 minutes, until it thickens up slightly. Add the beef into the sauce, stir to combine, and garnish with fresh cilantro. 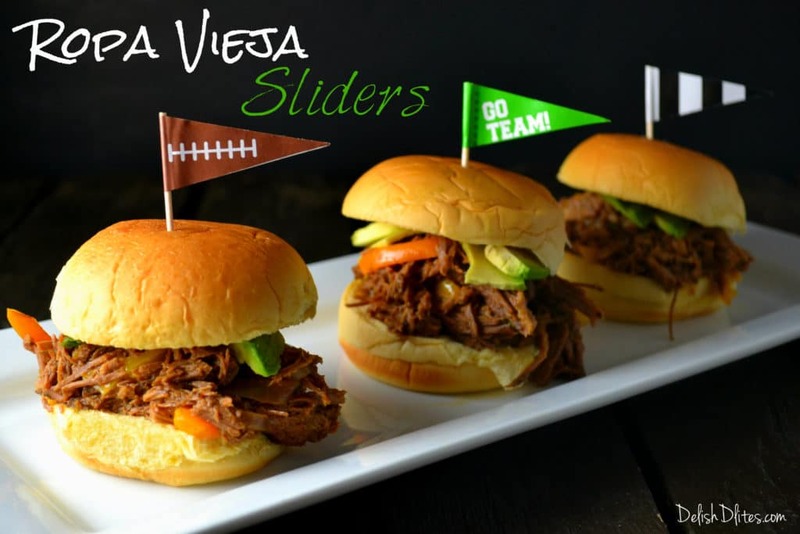 Pile your slider rolls up with the ropa vieja, and garnish with avocado or guacamole. Now, how easy was that? 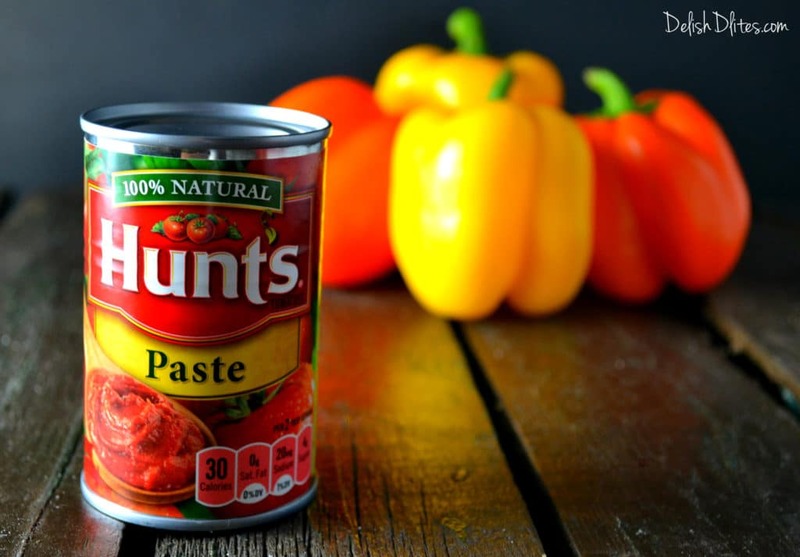 Hunt’s Tomato products are perfect for creating delicious meals. By using these ConAgra products and other ingredients like fresh produce and bakery breads, game day can be simple and delicious! Season the beef with Adobo seasoning, to taste. Heat 1 tablespoon of canola oil in a frying pan, then sear each side of the beef, until it's brown and crusty on all sides, about 3-4 minutes per side. Place the beef into a slow cooker, along with the beef broth, 1 packet of sazon seasoning, bay leaves, Italian seasoning, chicken bouillon, and 2 tablespoons of sofrito. Cook the beef on low for 8 hours, until the beef is tender. Shred the beef with 2 forks, and reserve 3 cups of the cooking liquid. In a saute pan heated to medium heat, add 1 tablespoon of canola oil, then toss in the sliced peppers, onions, and 2 tablespoons of sofrito. Season the veggies with salt, pepper and garlic powder and cook for 2 minutes. Add the tomato paste, then cook for 1 minute.